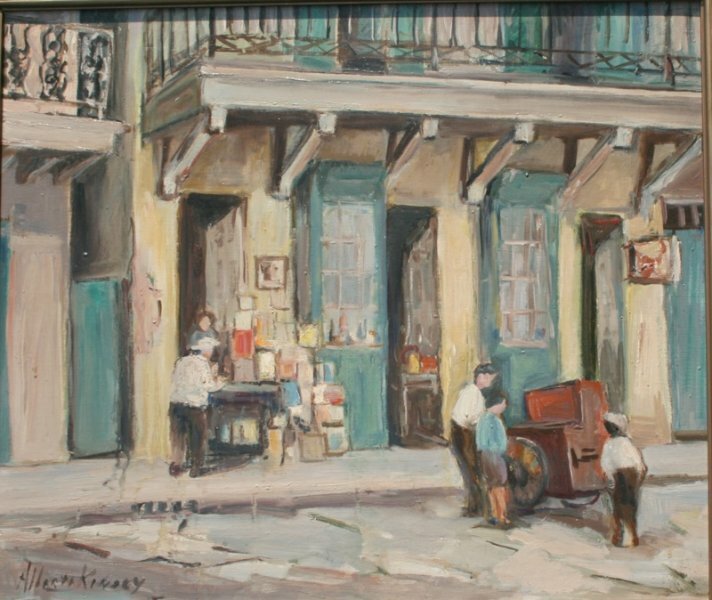 This modest Quaker schoolteacher from West Milton, Ohio fell in love with the French Quarter the first day she came to the city in 1918. 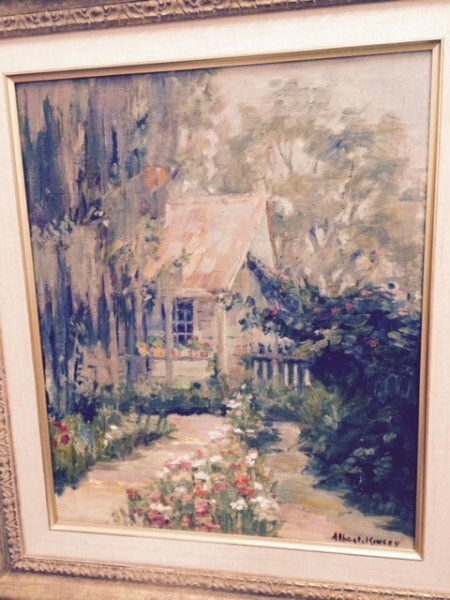 She lived thirty-three years alone in New Orleans, inventing the “courtyard” genre of painting, being enchanted with the dilapidated picturesque charm of the old buildings. 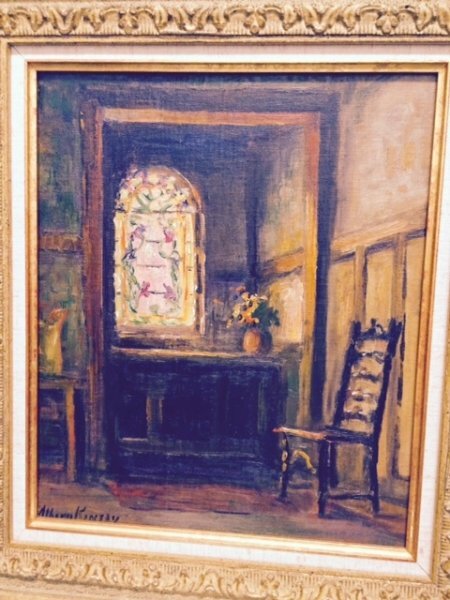 She was one of the first artists to live in the Quarter, rented studios for others, and was one of the founders of the Arts and Crafts Club. She was an activist in art education and also in historic preservation, painting many of the architectural treasures of old New Orleans. At times, she varied her style, from a loose painterly realism to structured experiments in conventionalized form and flattened space. These she did in response to “modern” art, though she always returned to her favorite courtyard genre.